If a tree falls in the woods, does anybody hear it? Windekind Buteau-Duitschaever is partially interested in this question but is even more interested in where the tree falls. Windekind is a wood turner who makes bowls, platters, vases and pens from fallen or reclaimed wood. 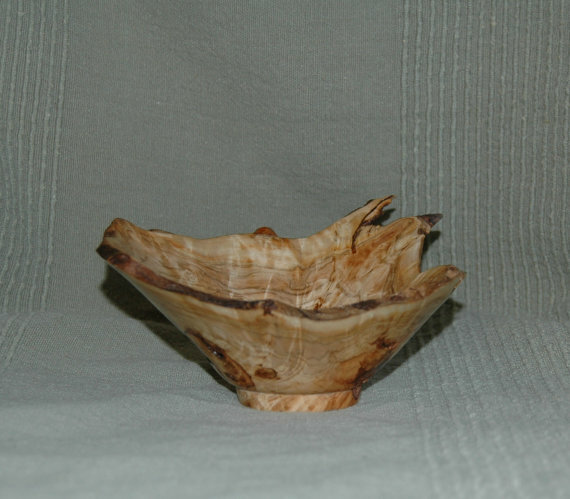 Windekind has only been wood turning for three years but quickly found its meditative properties a pleasant distraction from his PhD studies at Wilfrid Laurier University (and he is almost done, hooray!). “It uses a different part of my brain and helps me relax,” he says. 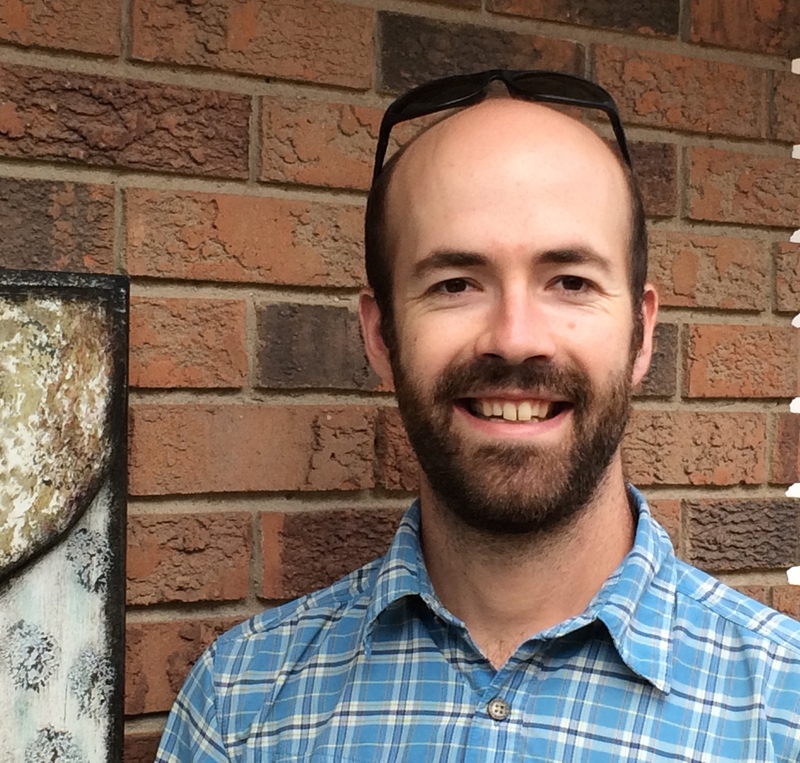 His wood turning adventures all started with a dream of building himself a cedar canoe. After talking about this idea for years, he realized he better develop some woodworking skills if the canoe project was ever going to happen. 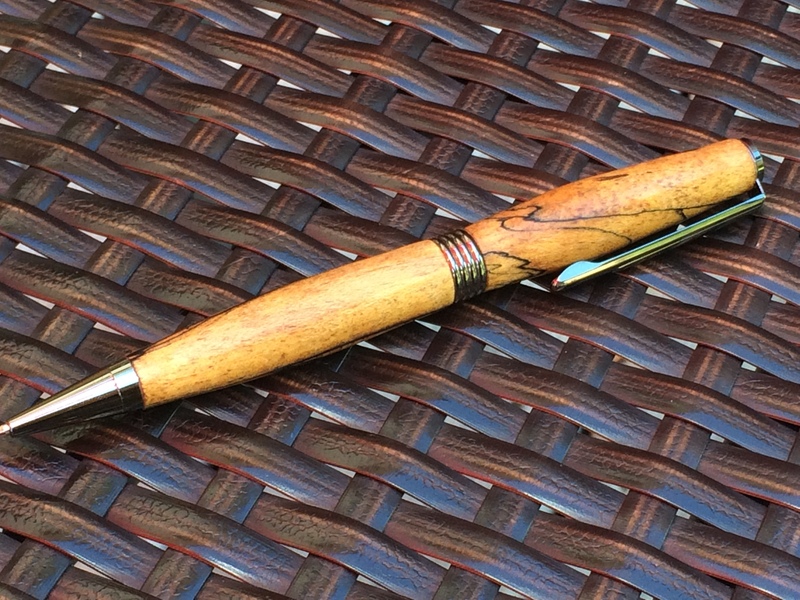 He landed at the KW Woodworking and Craft Centre in Waterloo where a seasoned member mentored him, and he learned to create projects on the lathe. Soon Windekind was hooked and bought himself a small lathe and a chainsaw to use at home, which he was able to store in a shop at his parents nearby farm. 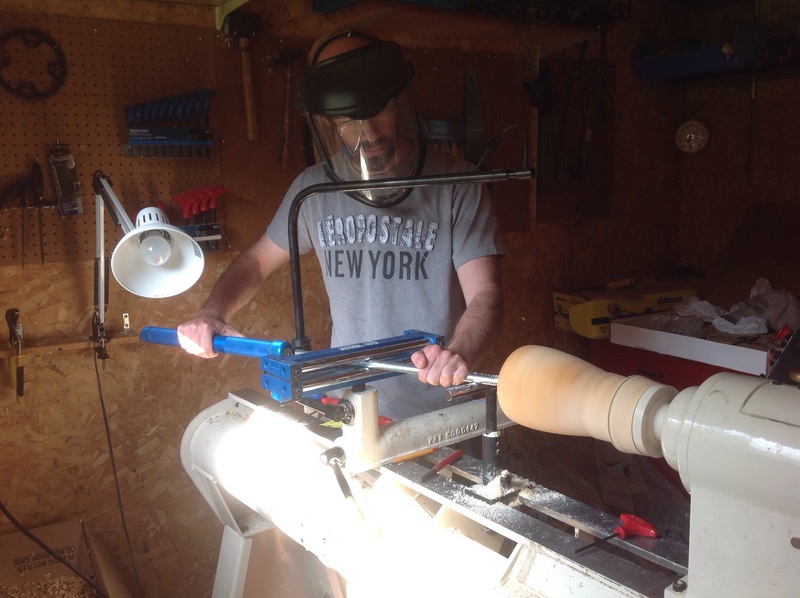 The wood turning fever took hold and he wanted to create larger-scale projects so he bought what he calls the “Cadillac of lathes:” the One Way Lathe, and he hasn’t stopped making things since. 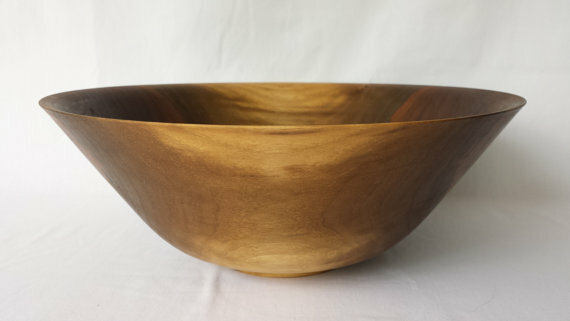 He recently opened up an Etsy shop called, Simply Rooted Wood Shop as many friends had been asking to buy his work, and his family was pretty keen to get some of their space back that has been overtaken by bowls and vases. Passionate about nature, all of his work is created from fallen trees—never from anything commercial logged. He often scours neighbourhoods after a storm, looks to Kijiji for free wood offers or picks up wood from neighbours and friends, who often are happy for him to take the wood, if he will make them something in return. We recently had a beautiful ash tree on our front lawn, that the city cut down as it had the dreaded Emerald Ash Bore. Windekind took a big chunk home and is in the process of making us a bowl to remember it by. [I’ll share a picture when it’s ready]. You can see Windekind’s creations next month at the Etsy Made in Canada Waterloo Region September 26. Or if you just can’t wait, you can check out his Etsy site now. P.S. Windekind’s favourite topic of conversation: figuring our ways to make something instead of buying it. P.P.S He still hasn’t made that cedar canoe, but he sure has the skills and tools to do it when he’s ready. Thanks Jill. I’ll send you a picture when it’s ready.